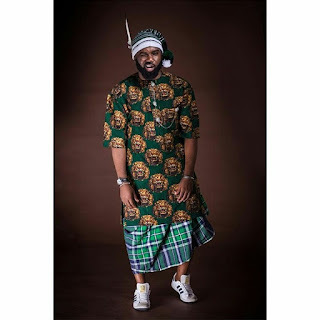 CHECHESMITHNATION : Noble Igwe Goes Fashion Forward Rocking IsiAgu On Sneakers! Noble Igwe Goes Fashion Forward Rocking IsiAgu On Sneakers! The Media Personality rocked the Igbo 'Isiagu' top on an Ankara print rapper, paired with the tribal hat while, his Adidas kicks has all the modern stylish touch that we love.